Church Refurbishment and Shrine Restoration are bound together in a single project because, really, one cannot happen without the other. The church building is 113 years old, much of the fabric needs repair, and this must be done before redecoration can take place. The Shrine has existed in the church for over 55 years and it, too, needs fabric repairs before the proposed artwork can be added. Details of the proposed work on Shrine Restoration can be found under the The Shrine tab, or by clicking here. A lot more information is available in three homilies preached by our parish priest, Fr Paul Martin. 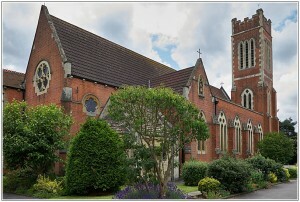 Donations towards the Refurbishment of the Church, and the Restoration of the Shrine, are encouraged and welcome, and will be gratefully received.